Queueing Systems - Brand New Queueing Systems With Express Delivery. Take-A-Ticket works when customers take a ticket and wait for their number to be displayed, then proceeds to an obvious point with their ticket as verification they are next to be served. 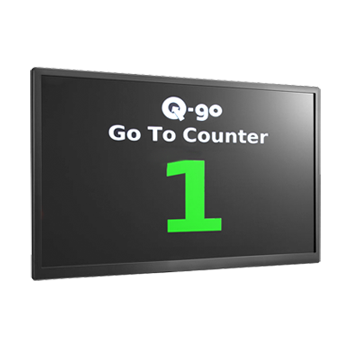 Multi-Counter works as above, but has the added benefit of telling the customer which desk, counter, area or room they need to go to. 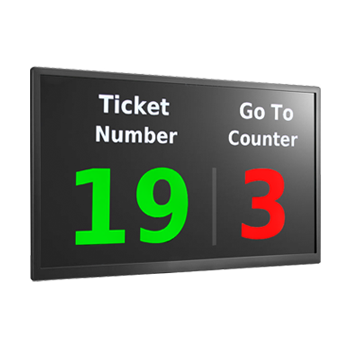 Front Of Queue is designed for single line queues with multiple service points - there are no tickets, but the display shows the next available counter once the staff member becomes free. 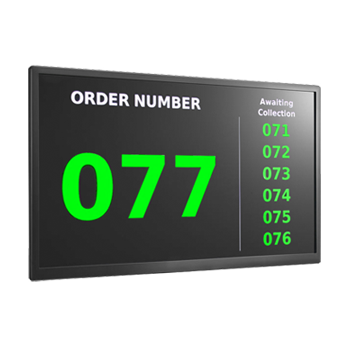 Order Collection is designed the collection of orders in a non-sequential manner, the display shows the next order ready.